Questions in UPTET 2019 Exam will come from NCERT Books of Class 8th. Difficulty Level will be upto Class 12th. 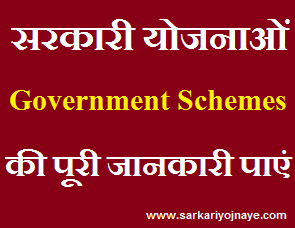 Read full news from Syllabus Link given below……. Uttar Pradesh Basic Education Board will conduct UPTET 2019 Exam. This Exam is very important for getting reputed primary & upper primary level teaching jobs in Uttar Pradesh. At First Complete Knowledge of Exam Pattern & Syllabus is required to crack UPTET Paper 1 & Paper 2. Get Detailed Information of UPTET 2019 Syllabus from the link given below….. It is also important to get Good Score in UPTET 2019 Exam, to practice with previous papers. So Here in this Article we are providing you, detailed uptet previous papers, uptet 2016 paper with solutions, uptet modal papers, uptet practice papers, uptet important questions pdf, uptet previous year papers with answers pdf, uptet modal practice set. Some Important Points regarding UPTET 2019 Exam Pattern for Paper 1 & Paper 2 is given below….. In Both Paper 1 & Paper 2, there will be Total 150 Questions. UPTET 2017 Exam comprises of Total 150 Marks. Time Limit for UPTET 2017 exam is 150 minutes (02 Hour 30 Minutes).